Macau could have as many as 50,000 hotel rooms by 2017. This is according to tourist office director Joao Manual Costa Antunes, who was quoted by Bloomberg as saying that Macau hotel occupancy rates average about 85 per cent. With some vacancies difficult to find at weekends in particular, Antunes said the growth in hotel rooms reflects the increase in the number of tourist arrivals in Macau. 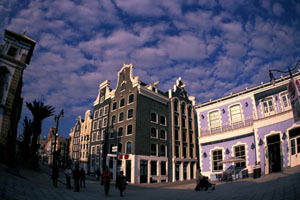 He added that Macau’s tourist arrivals would increase at lest 10 per cent this year compared to last year.